Japan’s second largest island is over 800 kilometres from Tokyo, but only a few hours away by bullet train – so there’s no reason not to consider visiting Hokkaido. 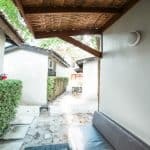 Even if your trip to Japan is short, it’s well worth saving a few days to experience this completely different side of Japan. Because, boy, is Hokkaido different. Sure, you’ll still see plenty of onsen, 7-11 convenience stores and ramen houses (serving some of the best ramen in Japan! ), but Hokkaido is a world away from the lights and colours of Tokyo. Busy streets filled with grey suits and oversized coats are replaced by desolate mountains and layers of traditional dress. And as much as I LOVE everything about the Tokyo lifestyle, Hokkaido has a real raw feel to it that any visitor to Japan should experience. The question is: When is the best time to visit Hokkaido? Hokkaido in March: The best time to visit? Hokkaido’s geography makes it an interesting island to visit. 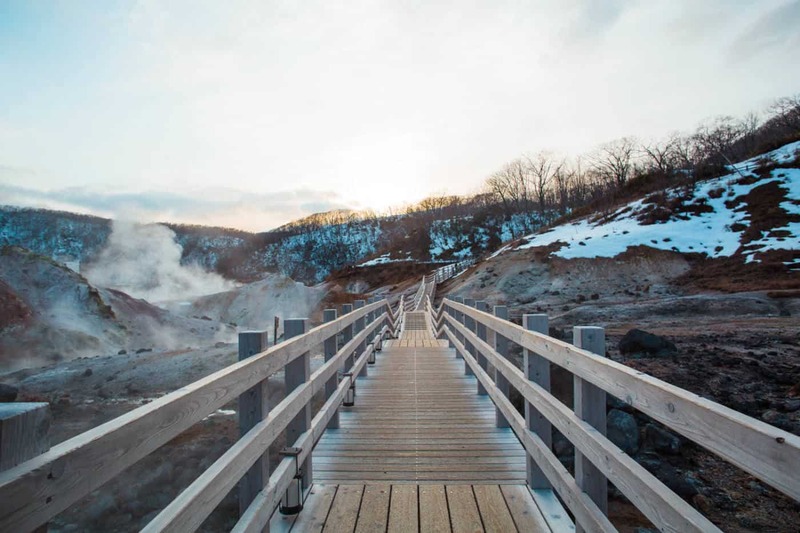 Every season has something completely different to offer, so the best time to visit Hokkaido will depend on which side of the island you want to see. In summer, Hokkaido attracts crowds of tourists who flock to see Furano’s famous lavender fields in full bloom and the natural art of Patchwork Road’s crop fields. If these are top of your list of things to do in Hokkaido, summer will be your only option. Hokkaido in winter is a completely different story. Colourful fields become endless stretches of colourless snow, which sometimes stands higher than the houses it surrounds. In winter, Hokkaido attracts just as many tourists as it does in summer, if not more. Many people, both Japanese and international tourists, head to Hokkaido’s small villages to take advantage of the many ski resorts. The best time to visit Hokkaido, though? If you want a truly unique and authentic Hokkaido experience – the kind that will leave an entirely different flavour of Japan on your tongue – I’d say somewhere in-between. We visited Hokkaido in March and it was a fantastic time to go (if you can stand a little cold!) because you can enjoy the beautiful Hokkaido winter without facing the harshest weather. Not only is Hokkaido quiet and almost free from tourists in March, meaning you can see the ‘real’ Hokkaido, the magic of the Hokkaido winter still lingers very visibly. Snow is everywhere (and there’s a good chance you’ll see it falling! ), so the ski resorts are still in full swing. When we visited the small but popular ski village of Sounkyo, there were only a handful of skiers enjoying its slope on a Friday afternoon and ski rental was a very affordable $35 dollars per day. It’s still a little chilly but sunny on most days – just make sure you pack some sunglasses because it gets bright with all the white snow around! And then there are the landscapes. If there’s one reason you should visit Hokkaido in the winter, it’s to see the landscapes. Many of the villages in Hokkaido are built into valleys surrounded by jagged mountains, making for amazing photos and an even more amazing view to wake up to when you get out of bed in the morning. That alone is an experience that’s worth braving the Hokkaido winter weather for. I’m usually the kind of person to run away at the first sight of anything cold and white, but the snow and ice made Hokkaido’s landscapes so dramatic and dreamy, I was almost converted. (Okay, I was totally converted, even if I hate to admit it!) As for the two Canadians travelling with me? I knew it was some pretty epic snow when even they were impressed. March is also a great time to visit Hokkaido because you can time it with the Hanami cherry blossom festival in the south of Japan. While Tokyo, Kyoto and Osaka are bursting into bloom, Hokkaido is still waist-deep in snow – meaning you can enjoy two of the best things to do in Japan in one trip. 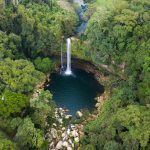 Plus, if you time it well, you’ll be able to make it to the Sounkyo Ice Waterfall Festival and still travel back down south in time for the blossoms. Just make sure you take your trip to Hokkaido into consideration when you’re planning what to pack for Japan! And if you’re kind of gutted that visiting Hokkaido in March means you’ll miss out on the summer flowers, Hitachi Seaside Park is less than 2.5 hours from Tokyo by train. Hokkaido has so many cool cities and cute villages that there’s no shortage of places to stay and things to see. The bad news is you will probably only scratch the surface of this magical winter island, but the good news is that it will be pretty magical wherever you end up. The other good news is that Hokkaido isn’t the only part of Japan worth visiting during the colder months, so you can complete your trip with these five other places in Japan worth visiting during winter. Most visitors enter (and leave) Hokkaido island via Sapporo, the capital city and a bustling hub of entertainment, dining and shopping. 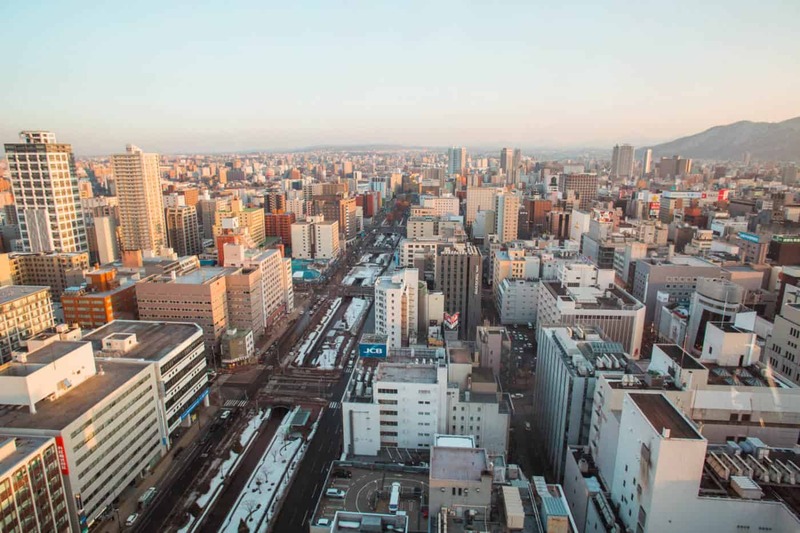 There’s not a whole lot to see and do in Sapporo – compared to the rest of Hokkaido, at least – but it’s worth spending a night or two here to soak up the city’s atmosphere, watch the sunset over the city from the TV Tower, and prepare yourself to enter a more rural Japan. A visit to a Japanese onsen (hot spring) is a must when visiting Hokkaido. 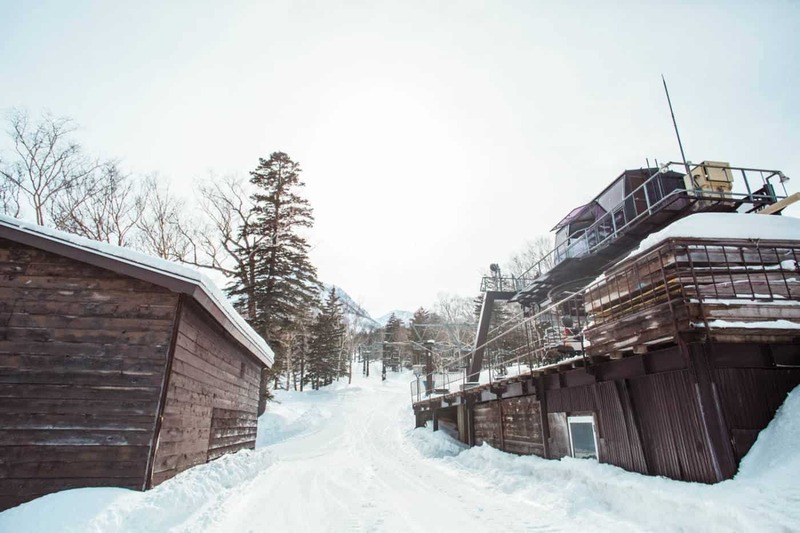 Many of the hotels in Hokkido’s ski villages have their own on-site onsen, but nothing can beat Noboribetsu for a truly unique experience. 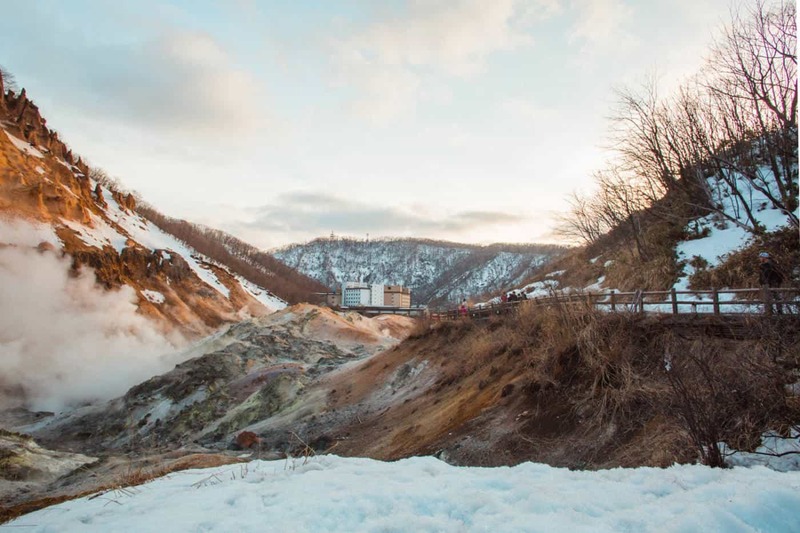 Hotels in Noboribetsu are on the pricey side; a more affordable way to experience the hot springs of Hell Valley is stay a nearby town (such as Muroran) and get a day pass to the Yumoto Noboribetsu hotel to enjoy the on-site onsen. 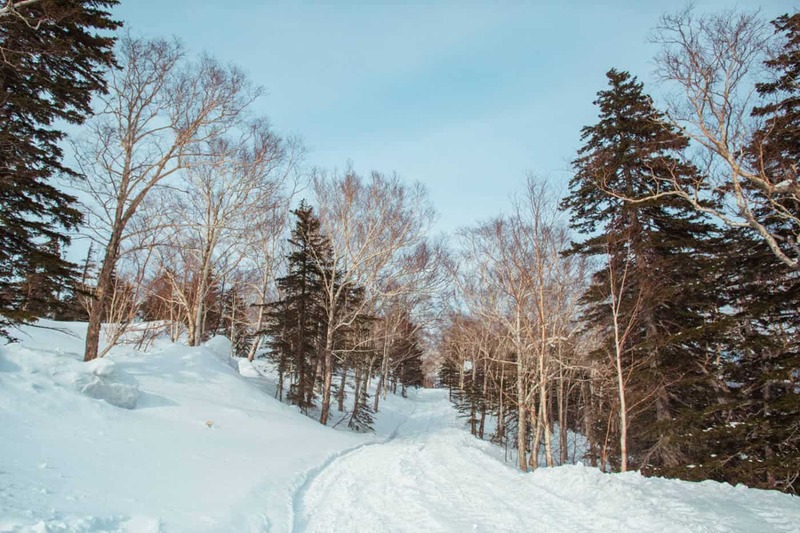 Finally, a couple of nights in a ski village such as Sounkyo will be everything you need relax and immerse yourself in the Hokkaido mountains. If you’re a keen skier, you might want to linger a little longer, but even non-skier will be charmed by these magical villages. Imagine snow-covered mountains, frozen waterfalls and very few people for miles around. It’s a wintry heaven that even I, a lifelong winter hater, loved. Hokkaido in March, when winter is still very much in the air but that air is starting to warm up in preparation for spring, is a truly magical experience. But whenever you visit, it’s worth adding Hokkaido to your Japan itinerary. Alajode Travel Blog > Travel Blog > Asia Travel Blogs > When is the best time to visit Hokkaido, Japan?